Eagle-eyed observers during the Mobile World Congress Keynote were surprised to see that Joe Belfiore had on his home screen a Groupon app. For those of you who don't know Groupon, it's a website that offers great deals on products and services. The catch is that a certain number of individuals have to purchase the item for the deal to be on. Google recently attempted to purchase Groupon for $7B, a huge valuation which indicates the growth potential of the budding company. 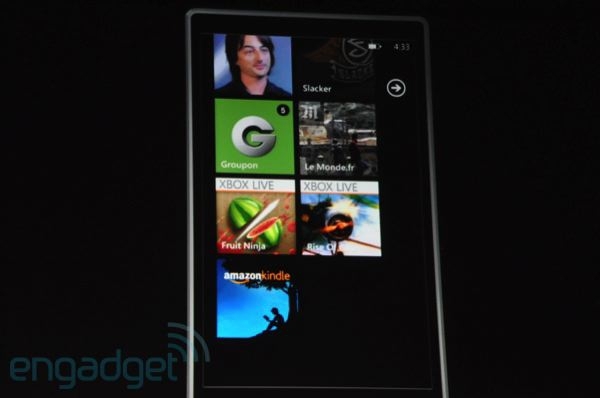 Either way, a Groupon app will be a welcome addition to the growing library of apps on Windows Phone. Awesome! I have to admit that I'm quite addicted to Groupon and other sites like it...there are some amazing deals to be had if you pay attention and look for services/items you'd buy normally.